The HLB Predictor is a general tool for predicting the HLB number. It can predict the HLB number based on the Davies or the Griffin method. 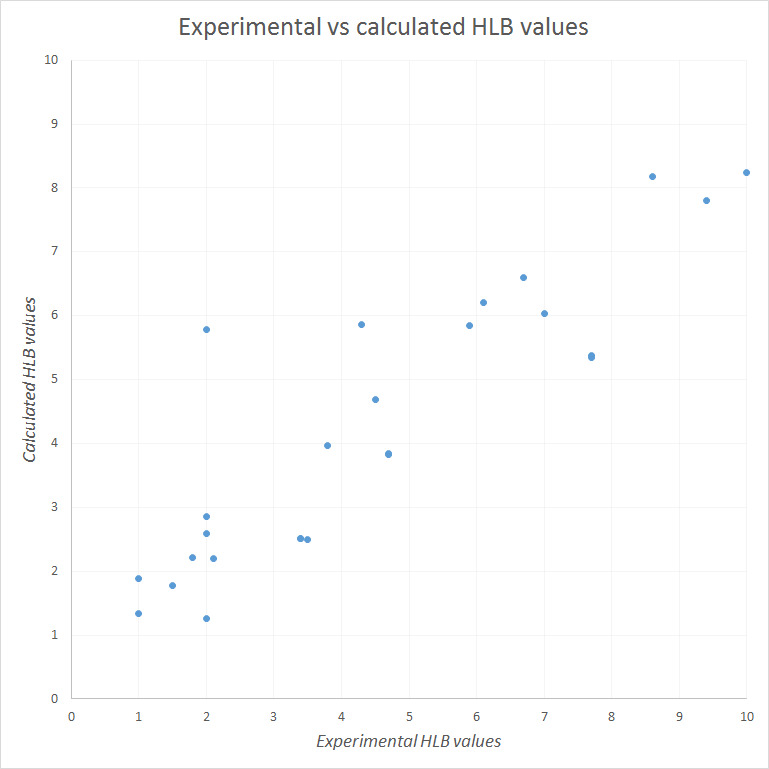 The accuracy of the HLB Predictor was measured using a test set of 26 molecules with available measured HLB values. The experimental molecules and their measured HLB values were taken from the reference articles. The plot below shows how the predictor performed on this test set. The calculated R2 is 0.79. The HLB Predictor is integrated in various ChemAxon products. 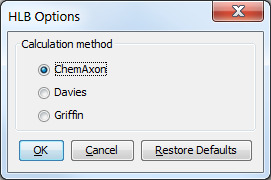 The calculation result appears in a separate pop-up window with the input molecule. 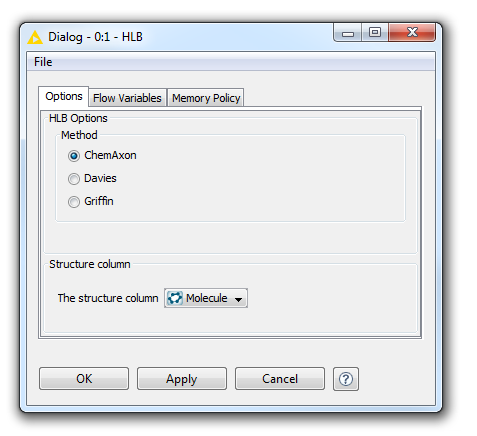 The HLB prediction functionality is also available in the Chemical Terms language via the hlb() function. The function has one parameter, the name of the method. If no parameter is given, the calculation runs with the default method. The HLB Predictor is also available as a ChemAxon KNIME node. You can see the KNIME node Options panel with the same options as in MarvinSketch below. The HLB Plugin with usage examples can be found here.